Purchased an older home with odd custom kitchen cabinets. I am wanting to remove the ugly box range vent and add a box shelf and an OTR microwave, but the width between my side cabinets is 28 inches. How big of a problem is it to move these cabinets over to increase the width. 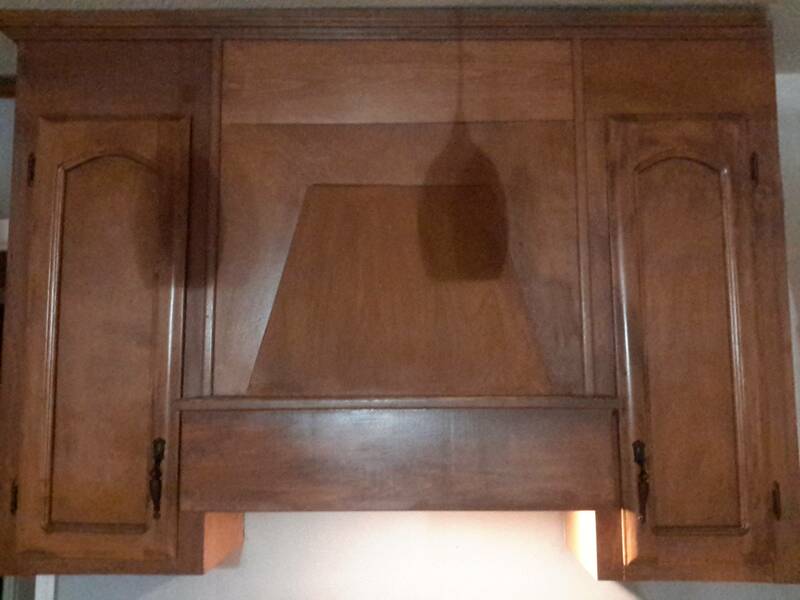 Picture(s) would help for your "move these cabinets over" statement. But, if you have room then it's just unscrew from each other & from studs...in that order. To then re-mount them to other studs & back to each other. However, you may also be able to swap cabinets to get a few more inches. If you have cabinets on other walls there may be a thinner one in an area that can accept the fatter one. Range hood exterior vent close to window? Installing base cabinets - screwing to the wall and each other? What can I do to seal up these openings between our cabinets? Are there any concerns installing kitchen cabinets set away from the wall? What to do when a toe-kick saw doesn't fit underneath cabinets?